Be the envy of the bar or man cave this NBA season with the ultimate beer and koozie matchup. Made out of buffalo leather and lined with poly-suede, this hand-stitched beverage holder feels like you're palming the ball as your slamming your beer. 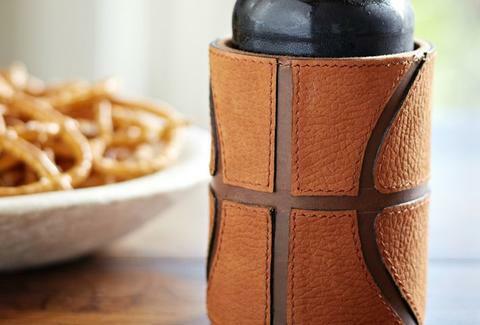 If the game goes into overtime, this koozie will keep your beer cold for a much-needed win.